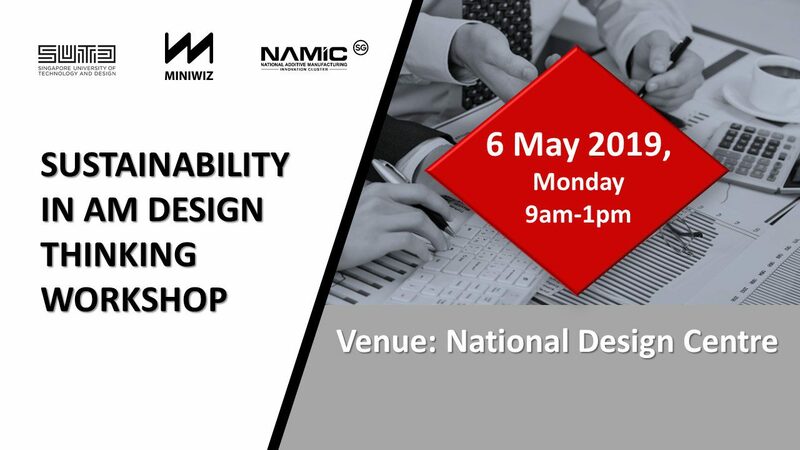 Presented by The International Design Centre at SUTD and Miniwiz, this Workshop will explore the use of Design Thinking methodology and techniques to address the issues of sustainability,recycling and instill eco-consciousness, with primary focus on advanced manufacturing and 3D printing. Unlike man-designed-and-made products, often requiring copious amounts of raw materials and energy resources for manufacturing and transport; nature has found creative ways to build biological systems of remarkable functional and aesthetic complexity using some of the most unassuming materials and energy-efficient processes available. Motivated by the heightened social sense for sustainable design-to-manufacturing, we developed a novel technology inspired by the way nature fabricates: using locally abundant biological materials, assembled into spatial configurations in the most resource-efficient manner. We present the bioinspired approach employed for developing one of the first in the world large-scale additive manufacturing processes using exclusively biological materials. We discuss the unique challenges as well as opportunities involved in bio-fabrication and aim to motivate the broader design and manufacturing community to adopt some of those, towards a more sustainable society and circular economy. Stylianos Dritsas is a research faculty in Architecture and Sustainable Design at the Singapore University of Technology and Design. His expertise is in Design Computation (Automation, Optimization, AI) and Digital Fabrication (Additive Manufacturing and Industrial Robotics). He has consulted several high-profile projects in Singapore, his research work has been published in journals across multiple disciplines, and his design work received creativity and innovation awards. Prior to Singapore, he practiced in London an Associate Principal at Kohn Pedersen Fox Associates and taught as visiting faculty at the Harvard Graduate School of Design, Cambridge, MA, USA, Architectural Association in London, UK and EcolePolytechniqueFederalein Lausanne, Switzerland. His education includes a diploma in Architecture Engineering from the National Technical University of Athens, Greece and a graduate degree in Design Computation from the Massachusetts Institute of Technology, USA. He is a registered Architect, ARB/UK and Architect/Engineer, TEE/Greece.